Pizza is a favourite meal in this household, and cookies are a favourite treat. 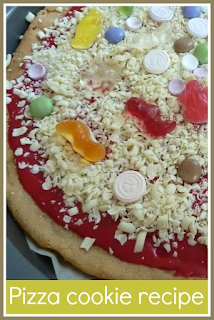 This recipe for a giant pizza cookie combines the two! My original inspiration for the pizza cookie idea came from A little bit of heaven on a plate - Chocolate pizza recipe. I wanted to make more of a biscuit base though, so I used the recipe from another pin - A Mothers Ramblings - As big as your head cookies, changing it slightly by keeping it plain as I was going to be adding plenty of sweets on top. Start by making the base. Cream the sugar and butter together, it's a lot easier if the butter is softened first. Then add the vanilla essence and the egg, then finally the flour and baking powder. The mixture will have the texture of a thick paste. I lined a pizza tray with grease proof paper and then spread the dough out evenly on top with a knife. It will spread a little when cooking so leave a small gap around the edges. Mine spread out really nicely leaving a good, realistic looking crust. Bake in the oven at 180C (slightly lower for fan assisted ovens) for about twenty minutes. It is ready when it has started to brown on top, but it will still appear quite soft. It needs to cool for a little while, and then it will harden up. You can see how the crust has curled up slightly resembling pizza crust, perfect. I think it looked pretty good when it was finished (and it tasted delicious too!). 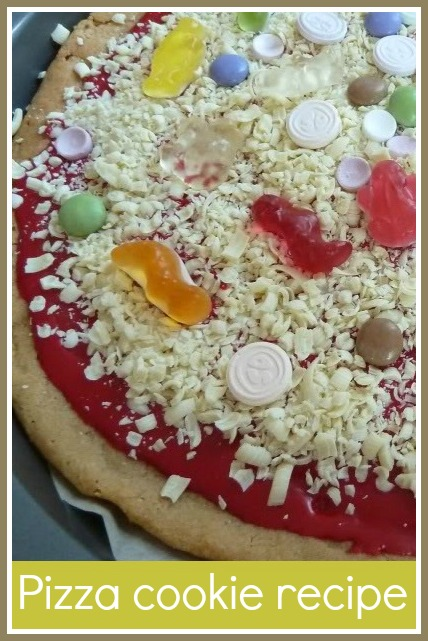 This would be a great alternative to a birthday cake for a pizza loving child (or adult!). 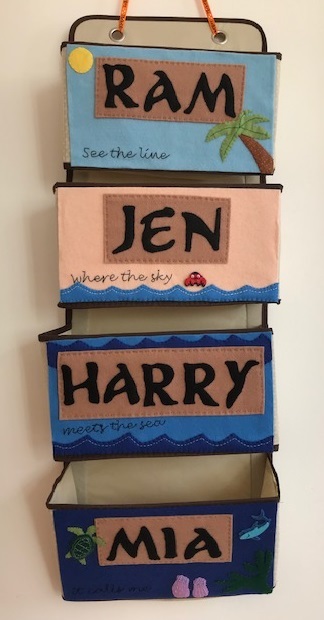 I hope they like it, I think it's great for children to do. This is such a fab idea! Another one for my to do list! I hadn't thought of that, sounds good! Thank you, and I'd love to see how you get on! I'm going to get Daddy Flower to make one of these!